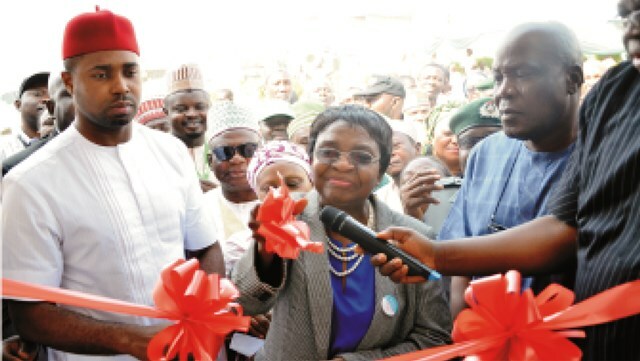 Director General, National Agency of Food and Drug Administration and Control (NAFDAC), Prof. Mojisola Adeyeye (middle), inaugurating the Port Infection Directorate office in Kaduna State, recently. The Maritime Workers Association comprising of the Nigerian Trawler Owners Association (NITOA), and the Nigeria Merchant Navy Officers and Water Transport Senior Staff Association have accused the Nigerian Maritime Administration and Safety Agency (NIMASA) failure to respond swiftly to distress call on the recent fire incident that gutted MV ORC IV off Bonny channel on the 6th February, 2019. The association expressed displeasure over negligence on the part of Regional Maritime Rescue Coordination Centre (RMRCC) unit of NIMASA as the incident left two seafarers missing. Though official of the agency explained that they responded to the distress call put across by owners of the vessel, the trawler group lamented that the Search and Rescue unit of NIMASA failed to live up to the responsibility, which in turn led to the disaster at sea. Reacting to the fire incident on Tuesday, President of NITOA, Akinsola Amire, in a statement berated the agency in charge offor safety at sea of inefficiency in carrying out its rescue operations as at when due. According to him, the fire incident that led to two seafarers missing and a badly damaged trawler ORC IV would have been averted if the agency had responded in good time. Recall that on 6th of February, the fishing company lost a vessel, ORC IV to inferno off Bonny anchorage in Rivers State after two days of burning without help despite repeated calls to the maritime agency. While expressing disappointment over the manner the incident was handled by NIMASA which eventually led to inability to put out the fire, Amire noted that the regulatory agency did not have the wherewithal to address safety issues at sea. “We must call a spade a spade. It is me today, it can be anybody tomorrow. The question is what are they (NIMASA) coordinating, is it just to bear the name? However, official of the Search and Rescue unit, who pleaded anonymity told The Tide that ” RMRCC operation is capital intensive and NIMASA cannot shoulder everything to handle issues of safety at sea alone because it is subjected to the will power. He noted that NIMASA has other stakeholders in the maritime that assist whenever there are distress calls based on proximity to the location of a particular incident. “We got the alert around 8.30pm and we contacted our partner in that axis but we had network issues that period. “We contacted NLNG to assist and rescue the vessel from sinking.” he said.